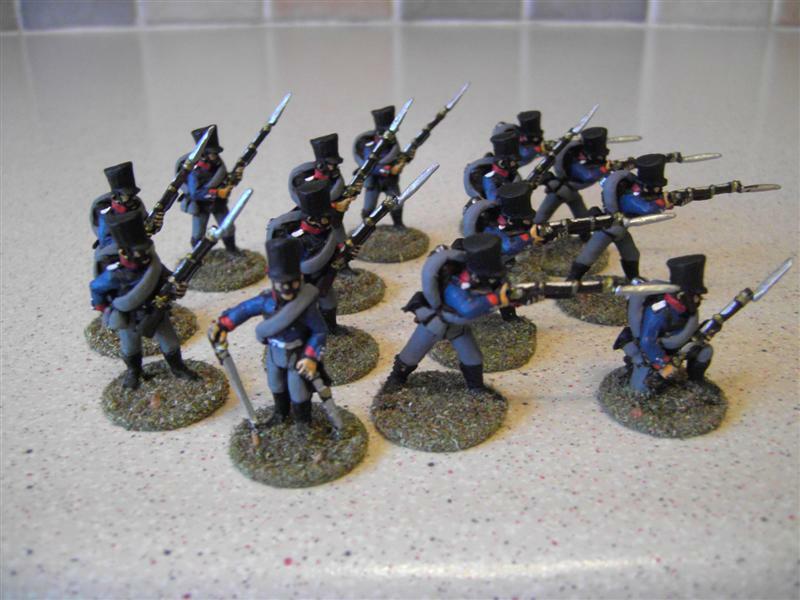 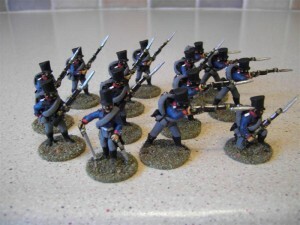 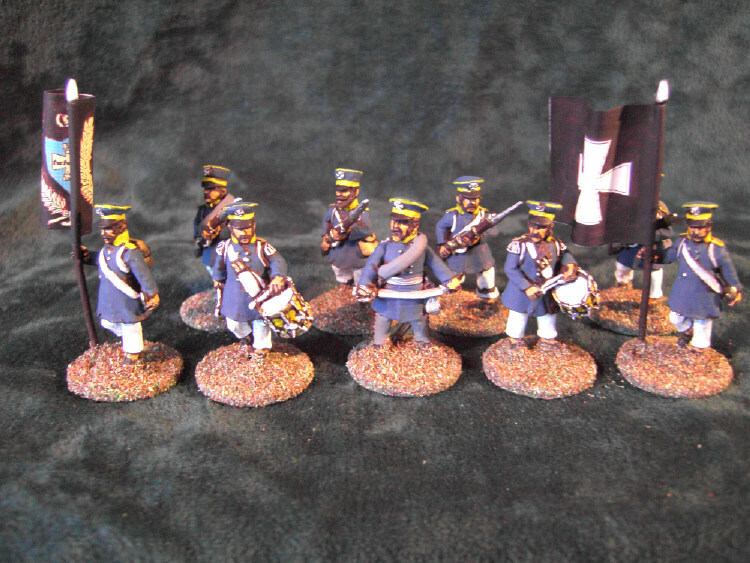 PRUSSIAN RESERVE INFANTRY 1813The typical reservists grey uniform; some latter reservists uniforms were the same blue and cut of the regulars. 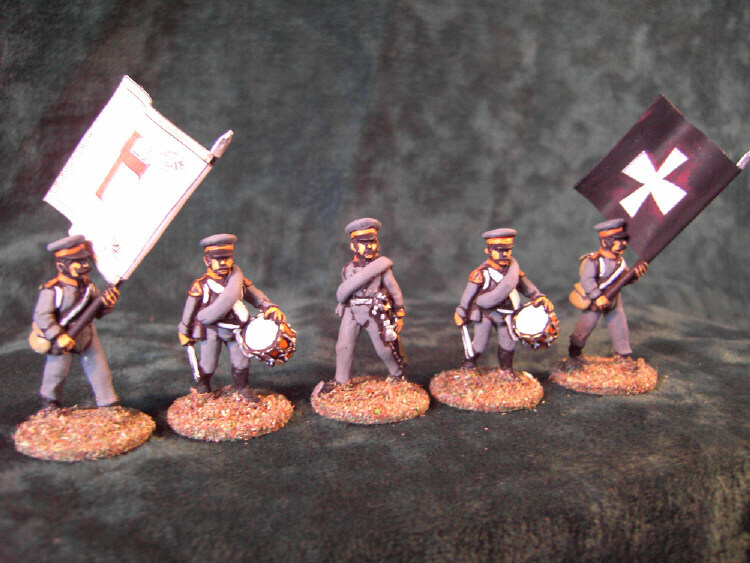 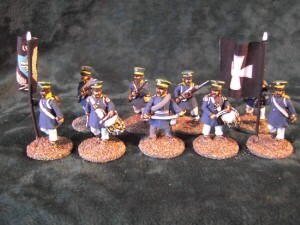 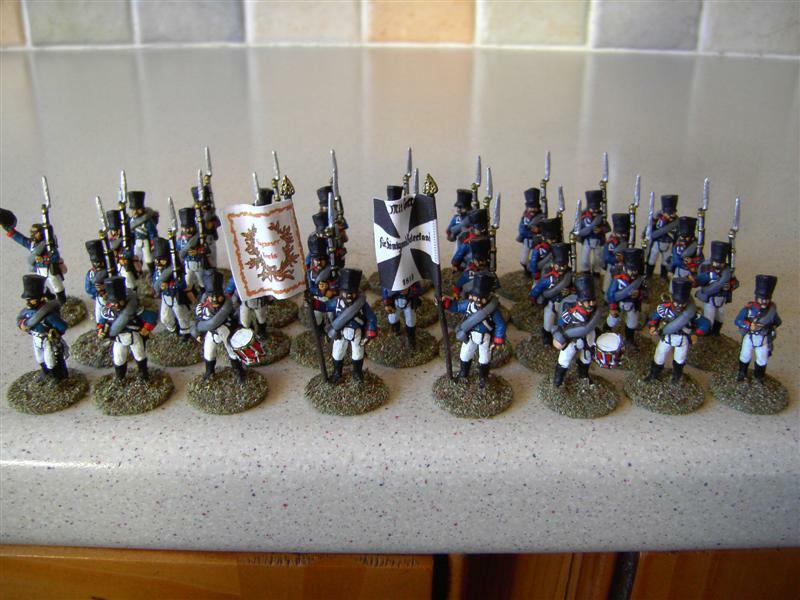 The landwehr were the final line of defence against napoleon a bit like the dad’s army here in the uk during WWII, young and old. 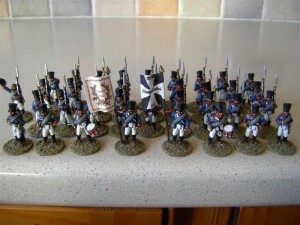 Thought to have no military value, ill equipped sometimes, not even shoes for their feet, time and again proved their critics wrong at Waterloo these Landwehr marched several hours to engage Napoleons elite guardsman at Plancenoit.They were defeated several times but rallied and attacked again and again… the rest is history.